The festive season is a time for celebration, happiness and gratitude, however, the thought of Christmas gift ideas can bring a bit of stress to some of us! Of course, not all gifts are materialistic. Over and above giving love, being joyous and mindful, we have come up with a few suggestions of how you could treat the yogi in your life! For any yogi, a mat is an important part to their practice. Not only is it a safe haven but also an essential if you’re going away this holiday! Whether they’re in need of their first mat or maybe its time to upgrade, we have a few mats that are all Proudly South African! not only does Siréne focus on reduce their carbon footprint through the use of sustainable production & resources. but each microfiber mats has been intricately designed and especially made for you. This high performance natural rubber yoga mat is the perfect choice when looking for an eco-friendly and durable yoga mat. The Ultimate Mat continues to embody simplicity and functionality but now offers an even higher level of performance. this natural mat made from recycled cork is Marked with alignment guides, lines and angles. these marks take the guessing out of your alignment work and lets you focus on other, more important aspects of your practice. Not only for winter, these yoga socks bring ample grip and support during your yoga practice! Achieve perfect poses in comfort with the toeless grip sock. . The non-slip grip sole provides secure foot placement while the five toe design encourages toes to spread and breathe more easily. The open foot design feels “barely there”. Shashi socks are suitable for any floor-based activity or sport. Their patented technology provides stay-cool comfort and a strong, confident no- slip grip, while their unique styles give you a fashion-forward look both during and after your workout. Aerial Yoga Hammocks are a fun way to spice up your yoga practice; to increase strength, flexibility & tone, as well as feel uplifted and refreshed! SA Yoga Hammock Supplies are dedicated to supplying South African Yogi's with top quality Yoga Silks & Hammocks. They offer a standard and premium package which includes all the goodies you need to set up your aerial yoga practice! From Bali with Love is the South African brand ambassador and representative of Bali’s unique style of aerial yoga merchandise, FlyHigh Yoga. flyhigh offers the first mobile yoga aerial hanging belt. Optimum for restorative inverted poses and intensifying your ground yoga poses. Yoga accessories are a great way to compliment your practice. Whether it’s a block, strap, wheel or bolster, these props bring increased awareness and energy to your body. THE MOCANA YOGA WHEEL IS A FUN AND VERSATILE TOOL. NOT ONLY DOES IT HELP STRENGTHEN YOUR CORE, IT ALSO AIDS IN OPENING THE CHEST, SHOULDERS, BACK AND HIPS. IT FEATURES A SOFT, GRIPPY OUTER LAYER MADE OF 100% SUSTAINABLY SOURCED CORK FOR COMFORT AND SUPPORT. Desha offers a variety of locally made-yoga products to bring support to your practice. blocks, straps, foams and bolsters all made in beautifully vibrant colours! If your yogi-loved one is all kitted with the essentials, our next suggestion is a bit of everything. It’s always a great idea to find a few little yoga treasures which you can put together to create the ultimate gift. These seven sublime blends are Proudly South African and have been made especially to compliment your yoga practice and your life. All of our oils are therapeutic grade organic essential oils of the highest standard. Who says you have too much yoga wear? 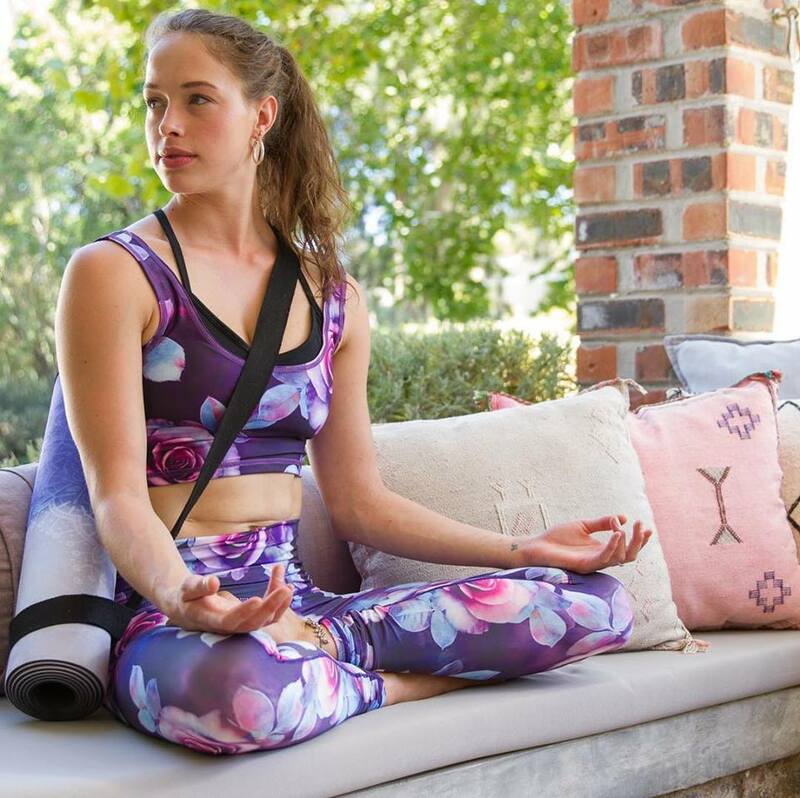 this Proudly South African earth-loving activewear using fabric is made from recycled plastic bottles, woven with spandex and custom designs, hand picked to make the ideal activewear for all the spirited sister out there! the sentiens Lifestyle Towels are the new adventure standard. They’re a must-have for any activity involving sweaty yoga, exercise, friends, beaches, rivers, mountains, camping, hiking and picnics. Anything that involves you getting out there and living your best life. Is there even a better gift than the literal gift of yoga? A yoga voucher loaded with a few classes or a monthly package is the ultimate treat. Even better? Why not organise a private yoga class to give the yogi in your life some special one on one attention. our online directory offers a wide range of teachers and studios! Although Christmas is a time of giving, not all gifts need to be materialistic. This festive season, remember to give the gift of love, of joy and of peace. Be mindful and be present. Start your 2019 feeling refreshed with the BodyStasis Detox Retreat!